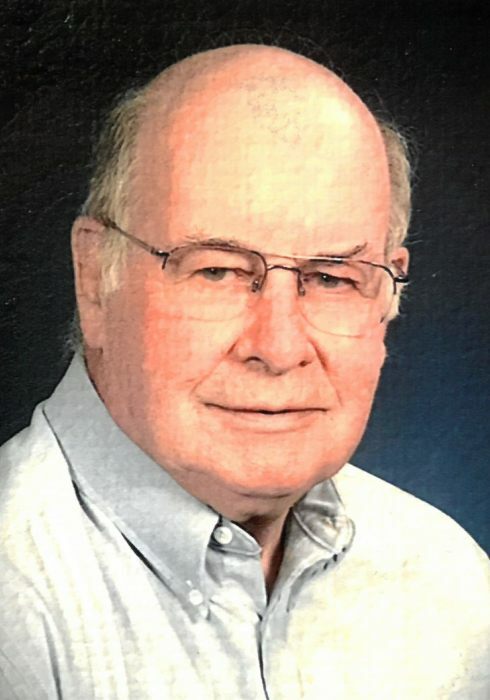 Richard D. Williamson, age 84, of Little Chute, passed away on Monday, October 22, 2018. He was born on May 1, 1934, son of the late Sylvan and Mary (Poppe) Williamson. On August 17, 1963, Richard married Mary Lou Aerts at St. John Nepomucene Catholic Church in Little Chute. Richard proudly served his country in the U.S. Navy from 1954-1957. He later served as secretary/treasurer for the USS Walke Association, which was the ship he served on, for 10 years. Richard was a long time member of the American Legion Post #258, Little Chute. He enjoyed gardening, planting flowers, golfing, playing cards and BINGO. Richard was also an advocate for and a mentor to others struggling with ALS. He was very proud to donate tissues after he passed to help in research and finding a cure for the disease. Most importantly, he loved spending time with his family, especially his grandchildren. He enjoyed attending their events and spending as much time with them as possible. Richard is survived by his loving wife of 55 years, Mary Lou Williamson; his children: Linda (special friend, Barry DeWall) Williamson, Dan (Doreen) Williamson, Jill (Nedd) Schommer and Paul (Sara) Williamson; grandchildren: Emilie, Grant, Madelyn and Tyler Williamson, Sam and Max Schommer; siblings: Ken (Rosemary) Williamson, Audrey (Paul) Janssen, Nancy Landgraf, David (Judy) Williamson and Alan Williamson; many nieces, nephews, other relatives and friends. Richard was preceded in death by his parents, Sylvan and Mary; father and mother-in-law, Harold and Maggie Aerts; and a brother-in-law, John Landgraf. Visitation will be held on Wednesday, October 24, 2018, at the Verkuilen-Van Deurzen Family Funeral Home, 101 Canal Street, Little Chute, from 5:00 p.m. until 7:00 p.m. Visitation will continue on Thursday morning at St. John Nepomucene Catholic Church, 323 S. Pine Street, Little Chute, from 9:00 a.m. until the time of the funeral Mass at 11:00 a.m. Full military honors will be performed by the American Legion Post #258, Little Chute. Interment will be in St. John Cemetery. For online condolences, please visit www.verkuilenfh.com. The Williamson family would like to extend a special thank you to the staffs of Cherry Meadows, Birch Cottage and ThedaCare Hospice for the wonderful care and compassion shown to Richard.